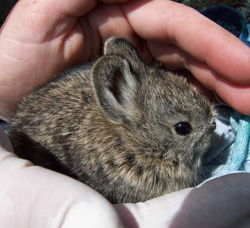 Photo courtesy Wendy Zumpf, University of Idaho A biologist working to document the range and density of pygmy rabbits in Idaho?s Salmon region holds a juvenile rabbit. Danger elevated from ?considerable? to ?high? Can you handle 48 Straight? Saul Turtletaub reviews ?The Road to Oz?